In the 224-member Karnataka Legislative Assembly, the BJP has 104 members, Congress-79, JD-S 37, BSP, KPJP and Independent one each, besides the Speaker. The Bahujan Samaj Party, KPJP and an Independent were backing the JD(S)-Congress coalition. Bengaluru: Karnataka is on the boil again after two Independent MLAs R Shankar and H Nagesh withdrew support to HD Kumaraswamy government. With this, the seven-month-old Congress-Janata Dal-Secular (JDS) coalition government is reportedly in turmoil. 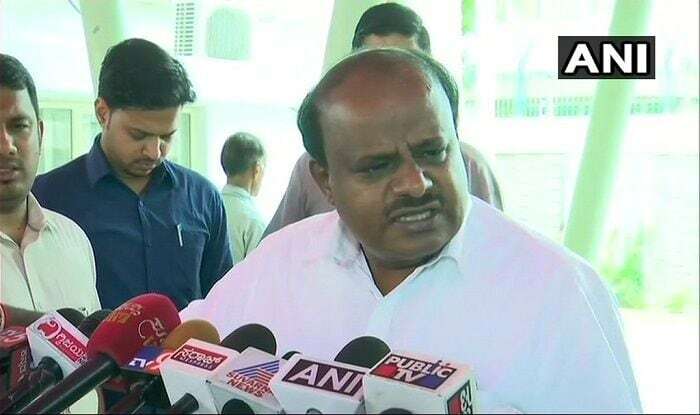 However, Karnataka Chief Minister HD Kumaraswamy remained unfazed by the recent developments. He had said, “If 2 MLAs withdraw their support, what will be the numbers? I’m totally relaxed. I know my strength. Whatever is going on in media in the past week, I am enjoying.” Notably, Nagesh and Shankar’s defection brings down the numbers of the ruling coalition from 118 to 116 – the halfway mark stands at 113. Also, Congress General Secretary KC Venugopal asserted that none of his party legislators was going to quit and said a clear picture would emerge tomorrow. “Not even one MLA is going to quit Congress. I have contacted my MLAs, and therefore, I am telling you this very confidently. In fact, by Thursday evening, you will have a clear picture about Karnataka,” he said. The BJP, meanwhile, has rejected the allegations levelled by the Congress that it is trying to topple the seven-month-old Karnataka government. Meanwhile, former Karnataka CM and Congress leader Siddaramaiah has directed MLAs to attend CLP meeting to be held on January 18. Warning that anti-defection law will be used against those who fail to attend the meeting, Siddaramaiah said it’ll be assumed that member himself has decided to leave primary membership of the party. Earlier today, Janata Dal (Secular) MLA KM Shivalinge Gowda confirmed reports of BJP horse trading members from the ruling Congress-JD(S) government. He said, “One person from JDS has been offered Rs 60 crore and a minister post by the former chief minister and BJP leader Jagadish Shettar.” The JDS MLA said that the party member refused the offer and informed CM HD Kumaraswamy.